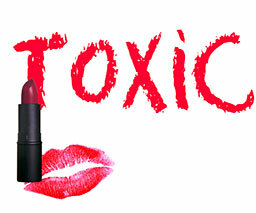 Ladies, your favorite lipstick may contain lead! A new alarming study has been released by the FDA confirming the problem of lead in lipstick is far worse and more widespread than previously reported. The new study found lead in all 400 lipsticks tested by the FDA. Which is more than twice the levels reported in a previous study. The new report can be found here. Some of the worse offenders are lipsticks you find in your everyday shopping locations like Target, Walmart, CVS, Walgreens, ect. “Lead is a proven neurotoxin that can cause learning, language and behavioral problems. Pregnant women are particularly vulnerable to lead exposure, because lead easily crosses the placenta and enters the fetal brain where it can interfere with normal development,” said Sean Palfrey, M.D., a professor of pediatrics and public health at Boston University and the medical director of Boston's Lead Poisoning Prevention Program. The U.S. Centers for Disease Control and Prevention states: “There is no safe blood lead level.” The agency suggests avoiding all sources of lead exposure, including lead-containing cosmetics. Here's what you can do. 1.) Send a message to L'Oreal and tell them to take the lead out of lipstick. 2.) Make the pledge to buy from safe, natural, non-toxic lipstick brands like 100 Percent Pure, Afterglow, Burt's Bees, Cargo, Lavera, Jane Iredale, Josie Maran Cosmetics, Pur Minerals and Tarte to ensure you not using lipstick that doesn't contain lead and other toxic chemicals. 3.) Search the Skin Deep Database to check their hazard level on your personal care items to make sure their safe to use. Remember, when your buying it your voting for it! So try to buy as natural as possible.